Ian Lawson, Katy Roucoux and Jed Long, together with colleagues Alan Miller, Iain Oliver and Sarah Kennedy of the OpenVirtualWorlds group in the School of Computing, have been exploring new ways of helping students and the general public to understand environmental change. The project was supported by the Proctor’s Office of the University of St Andrews. With our students, we have been exploring three new technologies: Story Maps, multimedia web platforms, and Google Cardboard. A Story Map is a combination of maps, text, and pictures, arranged so that visitors to a web site can learn about a landscape. We set our students the task of using ESRI’s Story Maps platform to develop a narrative of the environmental history of a region of their choice. 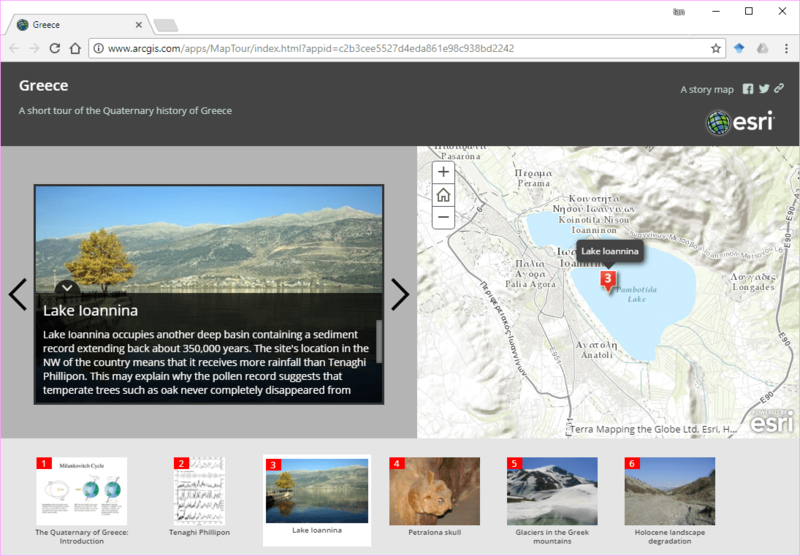 An example screenshot from a Story Map about environmental change in Greece. Our students found ESRI’s simple web-based tools to be quick and easy to use, and the results look professional. For geographers, the map interface is helpful in emphasizing the spatial relationships between palaeoenvironmental records – and reminds us how often we have to extrapolate from a single core or outcrop to make generalizations about a whole landscape. You can see examples of our students’ work here and here. We also worked with a more sophisticated multimedia web platform that allows integration of other types of media, such as 360-degree photospheres. The possibilities are interesting, but more complex technologies require a greater investment of time to really make them work well. 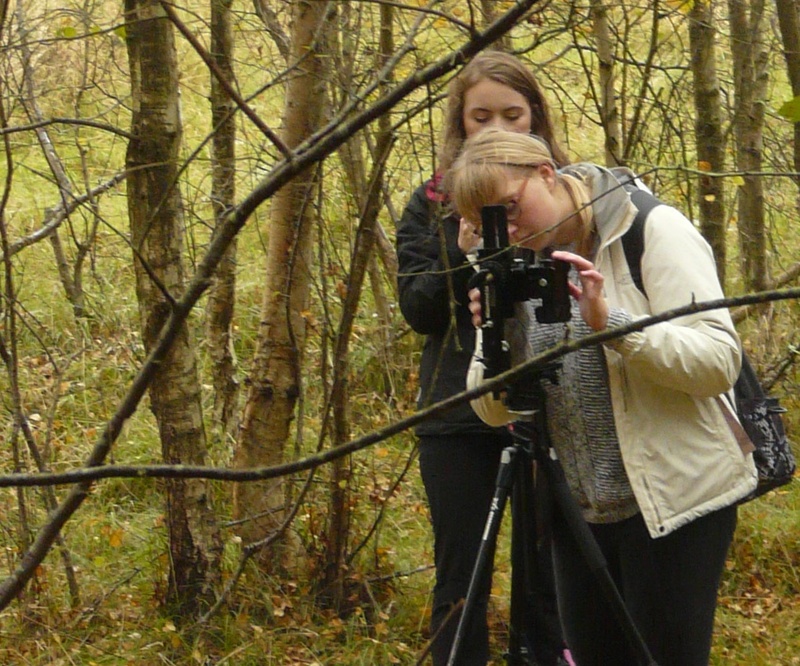 Students making a 360-degree photosphere in Tentsmuir Forest. Most recently we have been exploring bringing past landscapes to life using Google Cardboard, a virtual-reality platform for Android smartphones. Screenshot from a Google Cardboard app showing a Mesolithic camp at Tentsmuir Forest in eastern Scotland. With computer gaming technologies, we can craft realistic landscapes, complete with ice sheets and woolly mammoths, which appear in 3D to the user. The process of building a scene is complicated, but rewarding. 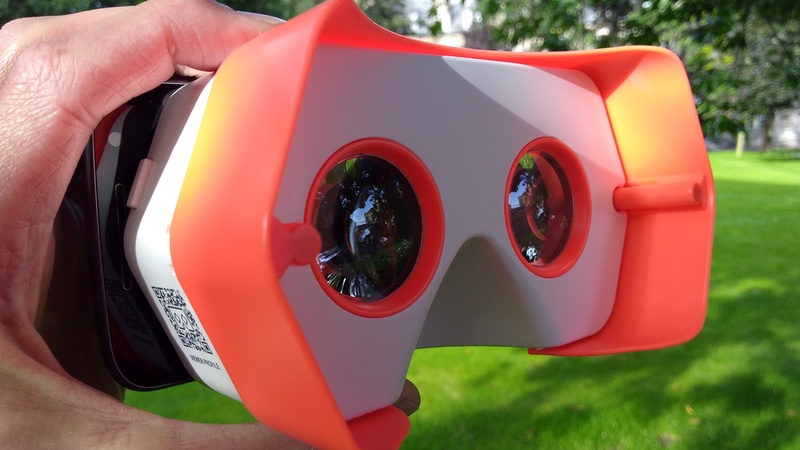 “Google Cardboard” viewer (actually more field-durable plastic in this case) attached to a mid-range smartphone. Looking up at a section through the Last British Ice Sheet. 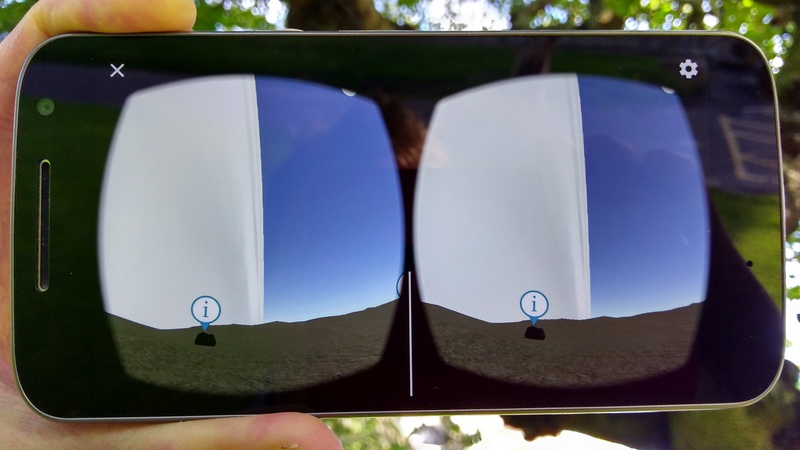 The Google Cardboard viewer renders these stereo images in 3D. We are currently exploring how to use this technology to enhance our classroom and field teaching. We are also collaborating with our local SNH National Nature Reserve, Tentsmuir, to experiment with applications in outreach and research impact.